Knit with ultra-dri coolmax polyester yarn that wicks moisture away from feet to keep them dry and warm. Half cushion foot keeps feet extra warm, and comfortable. Also absorbs shot to help reduce fatigue. 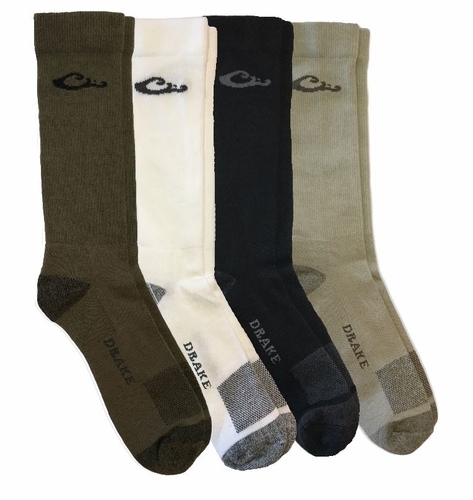 Arch support adds extra support and helps keep socks in place to prevent slippage with reinforced heel and tow that delivers added durability and even longer wear. Rib comfort top to help socks stay up for long wear with ventilation top so socks are breathable and extremely comfortable so moisture is quickly wisked away and dried, so feet stay dry and warm.